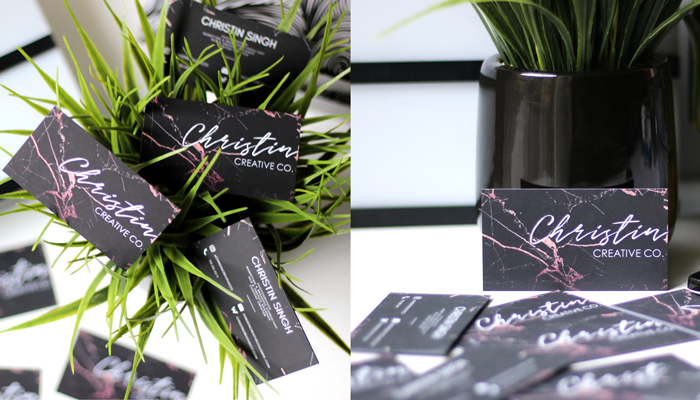 With the launch of her consulting business Christin Creative Co. (Instagram: @christincreativeco), Christin Singh turned her love of storytelling and design into a bustling, multi-faceted career. Thanks to her photography expertise and a degree in Communication, PR, and Marketing, she has developed an impressive portfolio of clients who trust her with their brand development and social media marketing needs. As a photographer and product stylist, Christin works with established food, travel, and lifestyle brands such as Daniel Wellington and Halo Top. 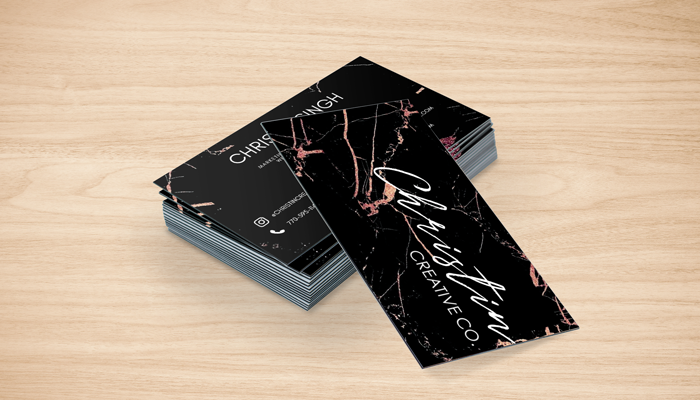 When the time came to order new business cards, she turned to GotPrint to deliver custom cards that reflect her love of clean, modern designs with a splash of color. In her field, first impressions mean everything, so Christin chose to print her design on our luxurious 38 pt. Trifecta black triple-layered paper stock.